A swim in the local hot pools always goes down well with the kids or maybe even heading off for a blast out on a mountain bike trail. Long school holidays add plenty of demands on parent’s time, and I wonder how BMW have made their new 4 Series Coupe useful for an outing with the kids. Let’s take a look at why the kids reckon the new BMW 4 Series Coupe is a real winner! Boys love their toys. Some boys will gather together with like-minded fellas and love to talk about cell phones, computers, iPods and anything with a computer chip embedded inside. Girls, on the other hand, will love to talk about who they can chat to via the cell phones, Facebook and the like, or their favourite songs that are saved on their MP3 player. So, in this day and age, a car has to have heaps of high-tech gadgets to hit-it-off with the kids. Seated inside the BMW 4 Series Coupe you’ll find that there are lots of buttons on the centre console area of the dash that drive the climate control, seat memory and other interesting bits. 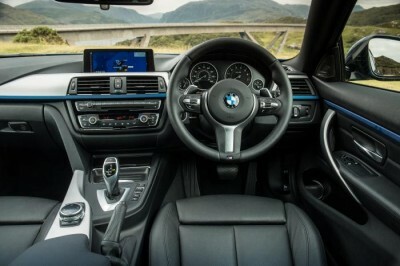 While these are simple to use by touch, the central dial near the gear stick allows for accessing a complete array of features on-board the BMW 4 Series Coupe, like the multimedia feature, the phone and satellite navigation – to name a few. It’s not that hard to use, yet it is a rotating knob that has been made by brilliant minds. The kids will love to use it and enjoy telling others what it will do. BMW have created the 4-Series in the form of a true Coupe. Outside the 4-Series is a stunning machine, while on the inside the interior has all the top-end features and a specially crafted leather interior that boasts sumptuousness in its atmosphere and a tactility that I think has been tweaked up a notch or two over previous BMW models. You can choose a number of colours and combinations to suit your tastes, however one thing is for sure, the sportiness and sensual lines will grab everybody’s attention the moment they climb aboard. This equates to the BMW 4 Series Coupe gaining another big tick in my books for its fresh, new design brief, and I’m sure that a tick in the cool factor box for the kids will be inevitable. People who love the latest gadgets are not the only ones that will like the new BMW 4 Series Coupe. There are plenty of us that love to be in on the action on a sports field, loving to push the limits and show off talents and athleticism. Sport’s stars wow the crowds. 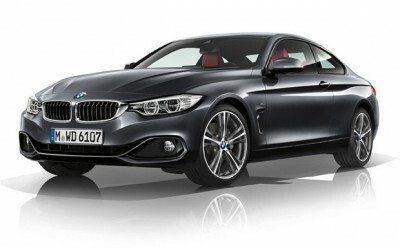 As far as the BMW 4-series Coupe is concerned, it is a very dynamic car. BMW’s 4 Series Coupe is the ideal car for people who love to enjoy the fun of driving. Coupe lines on the gorgeous 4 Series aren’t just for good looks only. Get behind the wheel of the 4 Series Coupe and the drive is pure enjoyment. There is just one diesel engine in the current line-up which gets off the mark quickly and builds speed swiftly when given free will. Between 1750 – 2750 rpm, the 2.0 litre turbo diesel has a hefty 380 Nm of torque – and that’s more than a 4.0-litre Ford Fairmont a few years ago. The 420i has a 2.0-litre petrol engine that fits the mould of an athlete perfectly. Power is on tap when needed, and the blend of performance and nimble handling make the 420i a pleasure to drive. The fwo other models boast Olympic performance. It’s sufficient to say that the acceleration and high speed capabilities of the 428i and 435i are outstanding. A drive to the hot pools in any of the BMW 4 Series Coupe models will be a hit with the kids, any day. Many kids have quickly had to learn to be safety conscious in the fast paced world that we live in. How will the 4 Series match up in the world of automotive safety? The BMW 4 Series Coupe is loaded with safety kit, so for all the kids who love long lists, here goes: you’ll find that a driver air bag, passenger air bag, side head air bag, rear head air bag, side air bag, 4-wheel ABS, 4-wheel disc brakes, Brake Assist, Electronic Stability Control, Daytime Running Lights, Integrated turn signal mirrors and Traction Control are all standard items. BMW’s fancy Heads Up Display is a winning safety formula, and the car’s awesome chassis aids driving safety. There is a load to like about the new BMW 4 Series Coupe. Probably the top hurrah of the 4 Series is that it’s another chance to own a BMW for cheaper than a 6 and 7 Series Beemer. Also, one of my greatest likes about the stylish 4 Series Coupe is that the engines are performance orientated, and at the same time they are intentional about being as fuel efficient as they can be – hence there is great get-up-and-go for minimal fuel consumption. For any more information on the BMW 4 Series, or for that matter any other new car, contact one of our friendly consultants on 1300 303 181. If you’d like some fleet discount pricing (yes even for private buyers! ), we can submit vehicle quote requests out to our national network of BMW dealers and come back with pricing within 24 hours. Private Fleet – car buying made easy!